The earth, having long ago exhausted its own natural resources, turns to harvesting Helium-3 on the moon and beaming it’s power back down, but a mysterious incident results in losing contact with the colony, and with it all power back home. A lone astronaut now launches towards the moon, to solve the mystery and save the earth below. 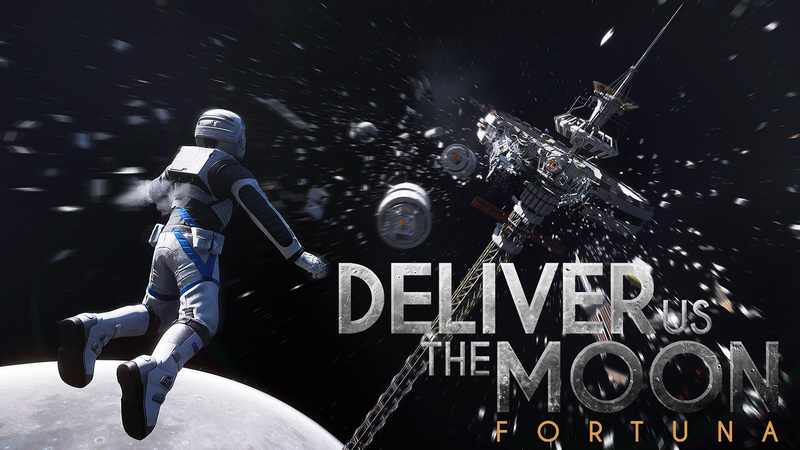 Deliver Us the Moon: Fortuna promises narrative exploration, environmental puzzles, and survival-esque hazards as you glide and bounce your way through an unraveling mystery inside an abandoned lunar colony, upon whose fate rests the last gasps of our pale blue dot. At least, that’s more or less what it says in the brochure. The best way I could describe this game in reality, though, would be as a short narrative walking (floating?) sim with some light puzzles and poorly implemented quick time elements. The central challenge involves maintaining a comically limited supply of oxygen while trying to explore a derelict moon base and eavesdropping on holograms of the (probably) dead crew. There are shades of better games here, Tacoma is an obvious example, so aside from it’s lunar setting, the conceit of the game is well-worn at this point. All of the action is burdened with an over-reliance on quick time events, the majority of which are thoroughly unsatisfying and feel like cheap tactics intended to artificially impede progress so as to cover for the surprising lack of content. Exploration is tethered to the uneven fits and starts of the story, so you never truly get a chance to investigate every nook and cranny, and there is no reward for taking the time to do so anyway. And despite some interesting ideas drifting in and out of play, the core narrative experience is cliched, clumsy and unfinished. None of this is helped by the awkward controls, unoptimized performance, and excruciatingly limited re-playability. The bulk of the gameplay involves exploring a handful of limited environments (launchpad, orbiting space station, moon base, etc) looking for clues which will in turn unlock parts of the overall story, usually presented in the form of a hologram or audio replay. Moving through each section involves some basic puzzle solving as well as navigating various hazards, such as exposed electrical wires, overzealous robot drones, and the occasional lack of gravity. These tasks are much more challenging than they should be owing to the awkward (and un-mappable) control scheme and sluggish movement. To be clear, the movement is sluggish by design; every move has a slight delay to it, both to simulate the weight of the character when he’s on the ground, and the weightlessness when in space. But this design choice only hampers the gameplay and makes what should be simple tasks into unwelcome chores. The storytelling is passive; basically you are lead in a straight line through the game and the narrative is handed to you along the way. You have no control over how the story is revealed, there are no choices to be made, and there’s nothing to invite you to read between the lines. You’re just there to listen to the linear story of The Johanson family, and the World Space Agency, and this is somehow supposed to be enough to keep you hooked. Sadly, it’s not, as the characters have no real personality beyond caricature, and possess about as much emotional heft as freeze-dried ice cream. The actual story seems to be at odds with itself in terms of tone and style. There are some solid ideas in this game, but for every concrete and plausible moment of inspiration there are twice as many implausible ones you have to swallow. I know it’s supposed to be a pseudo-dystopic future world, but just how Mad Max has it gotten that they can’t manage to design a spacesuit capable of holding more than three minutes of oxygen? And why, if the fate of the known world is depending on this one mission, do they only send one guy, surely the rocket is at least a two-seater? And how did it get to the point in the first place where all of the world’s energy is controlled by one organization? It’s all too much like a rejected plot from a James Bond film. The frustrating thing is that there are some gems hiding in this game, some unique and intriguing ideas along with a few tense and dramatic scenes, but these scant moments are undermined by the rest of the story which veers towards improbability. One of the most disappointing gameplay elements is the almost neurotic way in which every puzzle or environment has a timed requirement attached to it. And it’s always the same: you have to solve or move through an obstacle before your oxygen runs out. Your death is mourned by no one, before being respawned to try again. Most are straight-forward, but a few will require repeated attempts, and absolutely none are rewarding. First of all, most of these scenes feel forced. To be fair, there are a few genuinely suspenseful moments, but the majority of the timed sections amp up the pressure solely for the sake of imposing an unearned sense of urgency onto the game. And when you do make it through, whether it was easy or hard is irrelevant, there’s no sense of satisfaction, as each event doesn’t rely on skill but hitting the right button at the right time, which is a very reactionary way to play. So even though some of the early scenes have a sincere tension, by the end it just feels like a needlessly tacked on gimmick. As a stark contrast to the frustrating gameplay, the graphics and sound design are actually really well done. The models, textures, and lighting have a unique style while still being atmospheric. Some of the sequences have a strong cinematic quality, and really show off the game’s use of Unreal Engine well. The actual level designs themselves are clever; they feel substantial despite their small size, and offer plenty of detail to add depth to the game. I also like the mechanical design, the look and feel of the various machines; whether they’re pneumatic doors or moon-rovers, they are all well crafted. The sound effects and music are equally good, even if some of the voice acting is a bit flat. The gameplay isn’t all lost in space either, there are some bright spots. A few of the mini-games are actually fun, such as when you have to fix your ASE drone. The goal is to assemble and align various mechanical parts, and it’s weirdly enjoyable to perform this simple act. Another example: towards the beginning of the game you have to engage all of the controls in the cockpit of your rocket, and it’s terribly satisfying flipping virtual switches and levers and dialing digital knobs. It’s like a NASA themed fidget toy, and it’s great fun, however brief. Later, as you navigate through the wreckage of the moon-base with your companion drone, you can use your Astro-Tool “wristputer” to remotely pilot it to navigate air ducts, tight spaces, or even into the vacuum of space. Of all of these few highlights, though, the most fun has to be driving the moon rover. Oxygen limits be damned, I could just spend hours driving and bouncing around the cratered surface of the moon. The landscape is gorgeous, the controls are nimble, and it’s nice to have a break from the unwarranted countdowns of the rest of the game and just spend some time driving around aimlessly, living out some long lost Moon Patrol fantasy. Of course, what little good-will is earned by nice graphics and a few enjoyable mini-games is utterly eclipsed by the single biggest downfall of Deliver Us the Moon — it is unfinished. The game literally ends on a cliff-hangar halfway through. It is incomplete. Half a game. A sliver, really, a mere crescent. On one hand this is graciously merciful, since the first half is such an unpleasant experience. 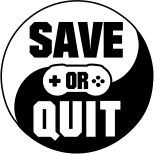 But on the other hand, it means if you buy this game at full price, you’re doing so knowing it cannot be finished and you will not, at the moment, get your money’s worth. To assuage your fears, KeokeN Interactive, the developers of the first half of the game, promise that a free DLC is in the works which will generously finish the story it started. I’ll be honest: I’m only interested if there’s more rover driving. Unless you’re a selenophile that just has to have everything lunar, wait until this game is on sale, or until the devs actually release the DLC to complete the story. The lack of content, clumsy controls, linear gameplay, anemic story, poor optimization, over-reliance on QTE’s, uncompelling narrative and the fact that the game itself is incomplete make it impossible to recommend at this time. Even though it tries earnestly, Deliver Us the Moon: Fortuna never attains orbit.